"To celebrate National Young Readers Day, I'm going to share my journey in reading before bed. I got the idea from Casper, an up and coming mattress company that understand how important sleep and reading are, and vow to create the most "outrageously comfortable mattresses." The team is inspired to build a "bed that loves you back." On to the more relevant matter at hand - reading! I don't think I can quite pinpoint when I started reading, but I do remember spending countless of hours reading at home after school. I distinctly remember constantly borrowing the one book from the school library to take home with me. 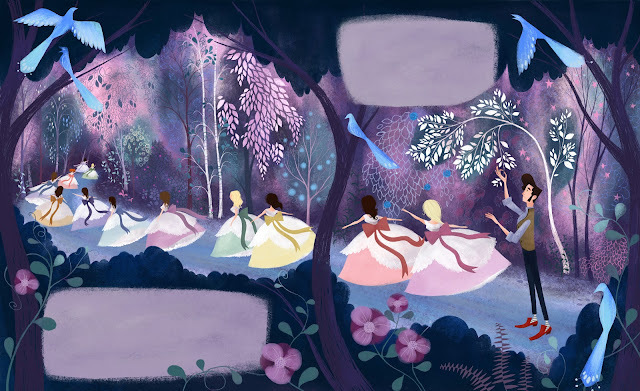 I can't find the actual copy that I read but The Twelve Dancing Princesses was my most loved book when I was younger. It was such a fascinating and enchanting story, with a bit of excitement and mystery. I read the picture book with swans as the princesses. Later on, I ended up snuggled in bed with .. you guessed it - the Harry Potter series! This didn't happen until I was probably in year 7 or 8, but because I never had the internet reading was what I did the most. I re-read the series constantly but on the side I also really liked Twilight (no shame here). I find reading before sleeping is such a relaxing past time. But sometimes I end up reading way past my actual sleeping time because I'm too into the story and have to finish it. I'm pretty sure this is standard for every reader. What Do You Read Before Bed? Omg Spot and Hairy McClary were so good. Also the Rainbow Fish and Hungry Caterpillar!! Yeah, it really does depend on the book that I'm reading as well. I wouldn't pick up something intense and emotional before going to bed because it'd definitely have me riled up.